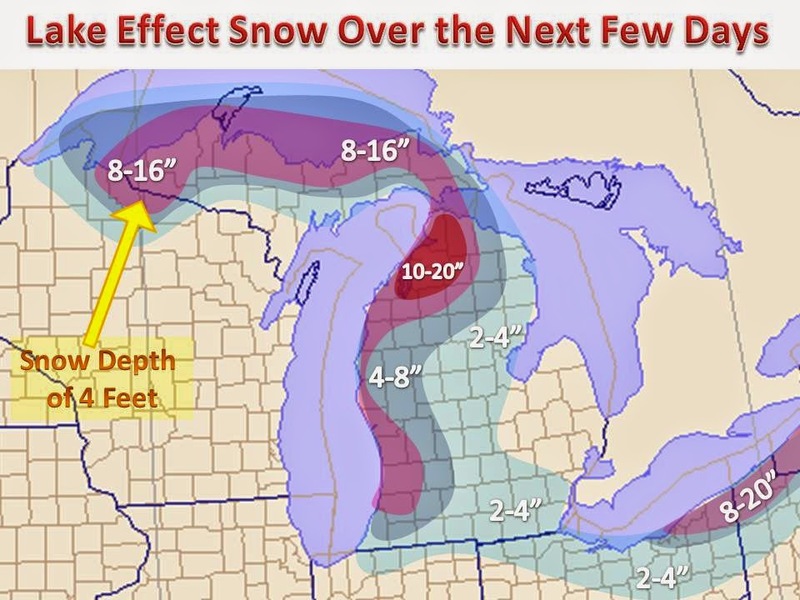 As an area of low pressure pushed off the to east, heavy lake effect snow will ramp up. With a counterclockwise flow around the center of the low, winds will shift to a northwestly direction. As the winds passes across the relatively warm waters of the Great Lakes, bands of heavy accumulating snow will set up over the colder land masses. Amounts of over a foot will be common by Wednesday in areas closest to the shore. Lake effect snow advisories and watches are in effect, and will likely kick over to warnings as the event nears.